Our company was established in 2008 as IK "Birma". Since that we have been specializing on selling dog apparel, exclusive furniture, professional cosmetics, dry and wet dog food in retail and wholesale. 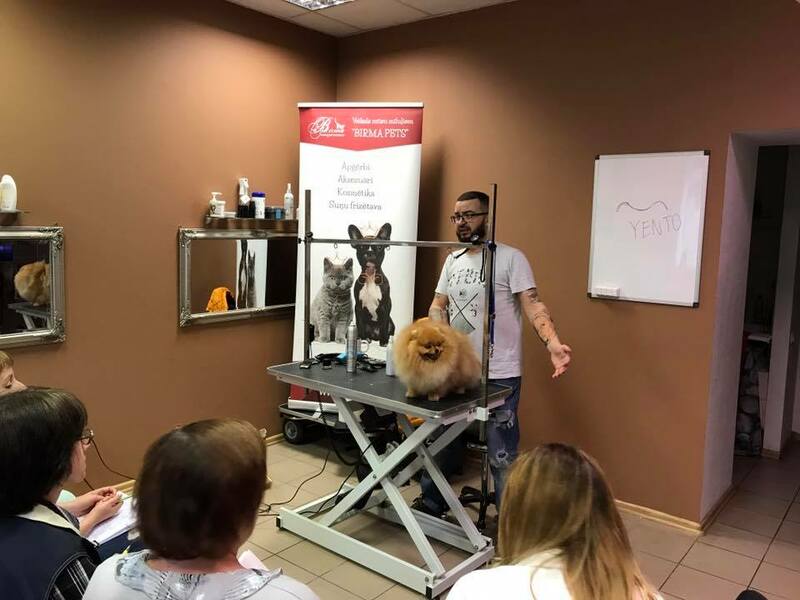 Since June 2016 we are organizing seminars for handlers, groomers, dog trainers, judges and other professionals, where people and dogs from Latvia, Lithuania, Estonia and other European countries are participating. The idea of developing Marp pet food stemmed from our many years of experience in pet food distribution and animal nutrition. Our main aim was, and still is, to supply pet food with maximum practicality in mind. We supply Marp pet food in two basic ranges –our holistic range and our super-premium natural range. Professional cosmetics for grooming dogs and cats. It is ideal for coat and skin care in between the shows, as well as for the show days. Shampoos and conditioners contain a unique formula based on natural animal and botanical oils. #1 All Systems has earned the trust and popularity among professional groomers and breeders as well as among pet owners. In addition to shampoos and conditioners, #1 All Systems collection includes coat maintaining products: products that moisturize and regenerate the coat, anti-static and de-matting sprays, coat stabilizers to eliminate the effect of dermatitis. Pure Paws Inc. is dedicated in providing the most innovative products for dogs and cats to give optimum results for your best friend. Only the best ingredients are utilized to get the best results possible. The shampoos and conditioners are formulated to provide results that new users will see immediately and with long term use, the user will be rewarded with a healthy amazing looking coat and easier faster grooming times. Pure Paws’ goal is to help everyone, from the beginner to the professional, achieve success in getting a “Best in Show” coat. Unique French cosmetics Ladybel is a well-balanced, gentle complex for dog`s and cat`s coat maintenance that does not contain any harmful ingredients. Ladybel cosmetics is designed by French scientists and is absolutely safe for the animals. All cosmetic line is unique for it`s natural ingredients, that are enriched with all necessary vitamins. Winning into the ring and worthy recipe of how to make your pet the best in the ring- it is all about Ladybel!